While I was away covering the MERGE! conference in Orlando last week Lisbon, Portugal based domain brokerage and consulting firm GGRG.com launched a new Liquid Domain Market Exchange at LXME.com. 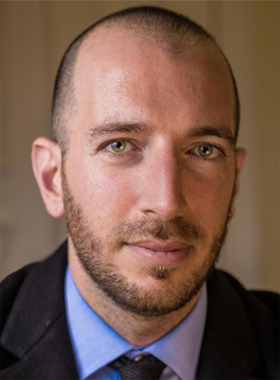 GGRG/LXME CEO & Founder Giuseppe Graziano told us the new platform will concentrate on providing the fastest and easiest way to buy and sell ever-popular 3-letter .com domain names. Graziano said, "We would like to serve as a bridge between investors from East to West, which is why our website has the Lisbon bridge as its cover! While the official launch was September 17th, we actually opened up LXME.com with soft launch in May and we have already had some great results. One of our customers managed to sell his 3L .com domain within 15 minutes of setting the right price!" Graziano was able to share some previously unreleased sales from the LXME platform that will be charted in our next weekly domain sales report that will be released tomorrow evening (Wednesday, September 26). Those include PFP.com at $28,600, KRC.com at $26,000, JLD.com at $22,792, DKM.com at $27,500 and RKL.com at $22,500. 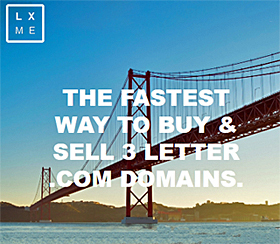 Graziano said the advantages LXME offers sellers includes the ability to "list your domains and get them instantly exposed to the most active buyers of 3 letter .com domains. Get qualified offers, while simultaneously avoiding low-ball offers by setting a minimum offer level." 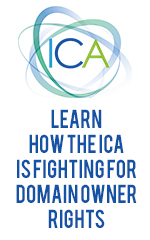 able to "search for 3 letter .com domains without having to filter through non-premium inventory and create opportunity alerts to get notified as soon as a domain with the features you are looking for gets listed in the marketplace." You can more details on how to buy and sell on the new platform by visiting LXME.com.